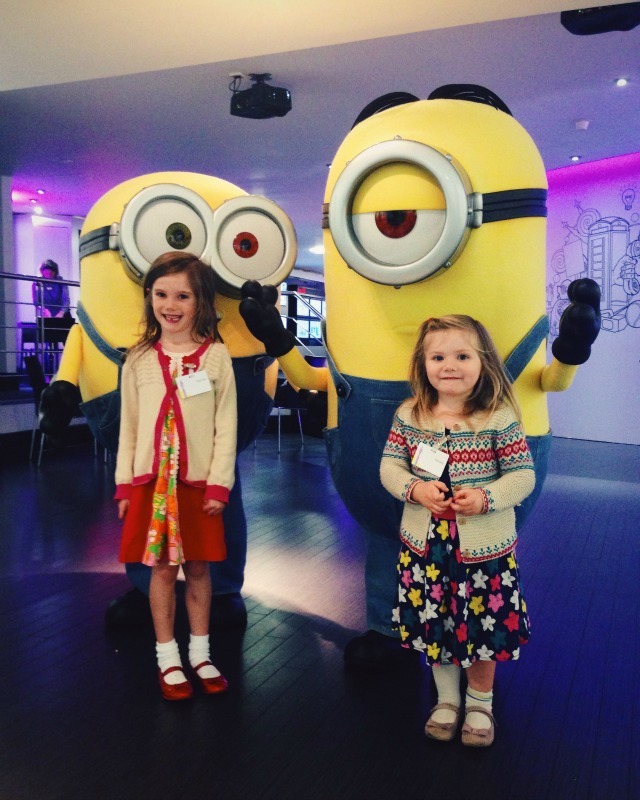 Last week, the girls and I were invited up to London for a party to celebrate the Minions movie coming to BT TV. 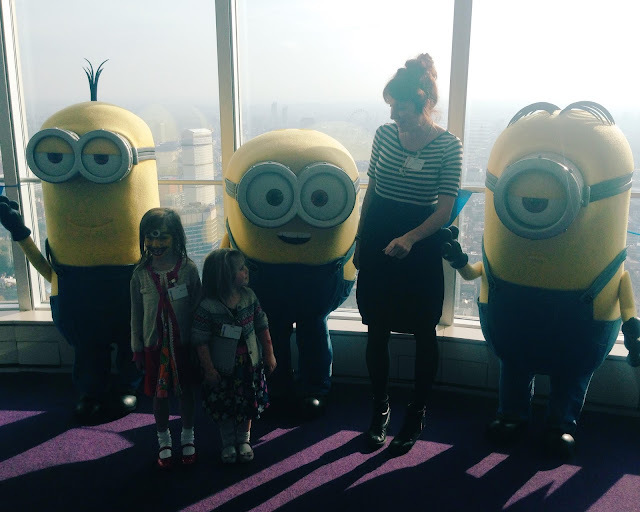 The girls were ridiculously excited because they love anything Minion related (Evie especially). I was ridiculously excited because the event was being held at the BT Tower which is somewhere I have always wanted to visit my whole adult life! I spent a lot of my teenage years and early twenties in Primrose Hill, and the silhouette of the BT Tower on the London skyline as seen from the top of the hill has always been one of my favourite views. It was an incredible treat to be able to see that view in reverse! We arrived at the tower at 10am where we were greeted by none other than Bob, Stuart and Kevin themselves, before being ushered into the auditorium for a private screening of the Minions movie. 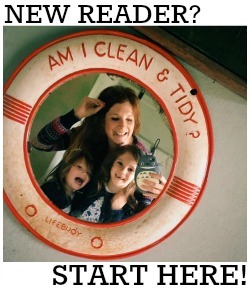 The girls had already seen it but I hadn't and I've got to say I thought it was brilliant. Very funny and it had an AWESOME sixties inspired soundtrack. 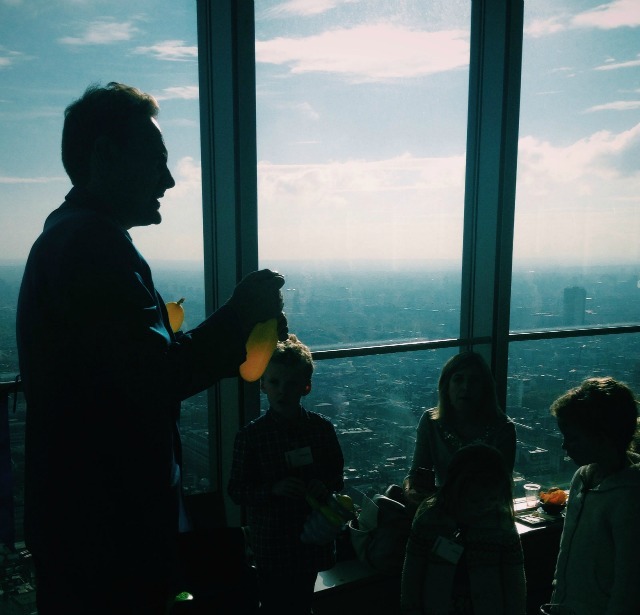 Once the film finished, we zoomed 168m up into the sky to the iconic 34th floor for a spot of lunch, some face painting, balloon modelling and, of course, those breathtaking views. The girls had a great time, as did I - especially as we got to spend time with Carolynne from Mummy Endeavours and her gang! After hanging out with the film's stars, filling our tummies with mini portions of fish + chips, falafel + tzaziki and spicy chicken burgers with kimchi (and not forgetting the chocolate orange brownies served for dessert) and, in the case of pretty much all of the children there, spending at least an hour being utterly fascinated by the revolving floor, it was time for us to head back to the sticks. You can always tell a good party when the guests pass out on the tube on the way home! 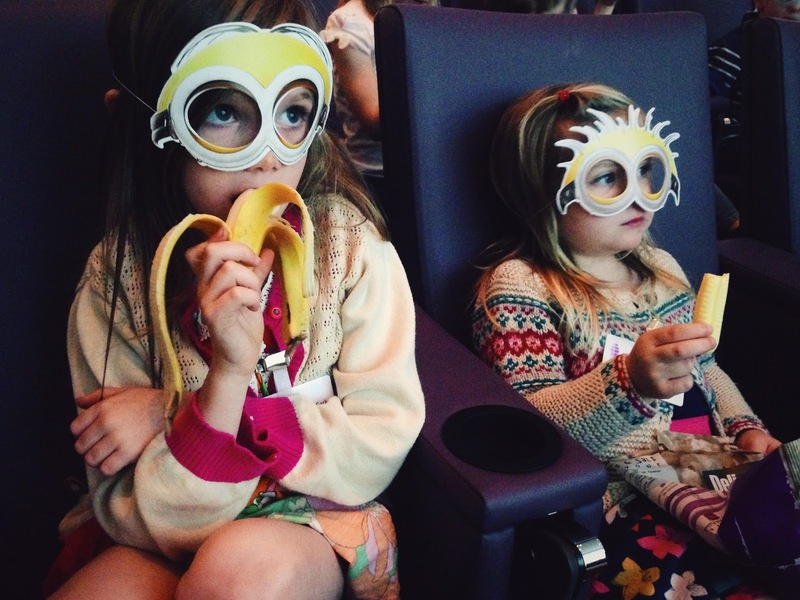 The Minions movie arrived at the BT Store TODAY! If you haven't watched already it you really must. King Bob! King Bob! Thanks to BT for inviting us to celebrate with them. We were not asked to write this post. Looks like a fab event, I love that your little girl enjoyed it so much she passed out on the tube home.